You need to know the 5 things every gardener craves—and this charming kitchen garden has them all: 1) water, 2) sun, 3) great soil, 4) abundance and 5) location. 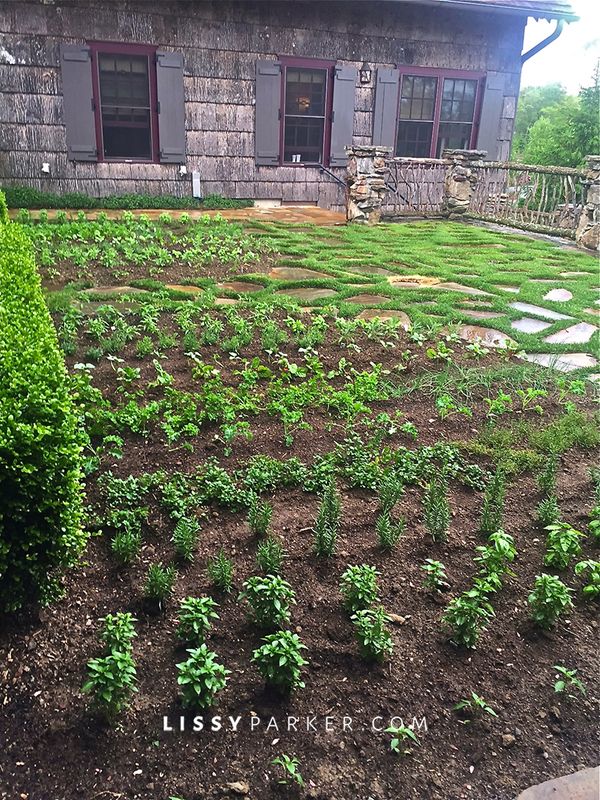 Pictured here is the herb cutting garden for the chef at Mountaintop in Cashiers, North Carolina. Imagine having this abundance of choice right outside your kitchen door. There is nothing better than having fresh herbs within an arm’s reach. I have planted mine in a pot on the patio this year and have it on top of a table for easy access and watering during construction. Make a trip today to your garden center and grab a few for your own herb garden—don’t forget to find that perfect location near your kitchen! Boxwood hedges and stone paths contain the garden. Love this rustic fence and stone work on the garden path—yes, I took the pictures in the rain. And here is the view—what a location! Tags: Cashiers, chef's garden, container gardens, Herb garden, kitchen garden, Mt. Top, N.C.